Would you like to see this in person? Then you just need to stop in at Miradouro da Ponta do Sossego. 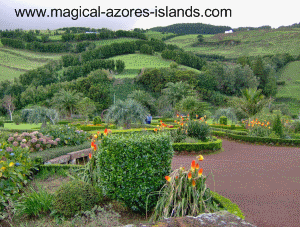 By the way, a Miradouro is a scenic look out, and the Azores Islands feature plenty of them. 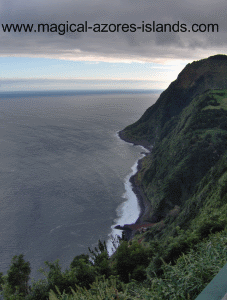 This one, Ponta do Sossego, offers this beautiful view on the North Coast of Sao Miguel Azores. Not only does it offer beautiful ocean side views like this one, but it has other great features as well. Most notably gardens, picnic areas, and barbecues. The gardens are well manicured and feature a variety of colourful plants that bloom at different times of the year. The picnic areas have covered areas and barbecues available. All in all, it's a great place to stop in while touring the north coast of the island. There are many more pictures at this page on the website: Miradouro da Ponta do Sossego. Please take a minute to check it out. Chances are others have the same question! 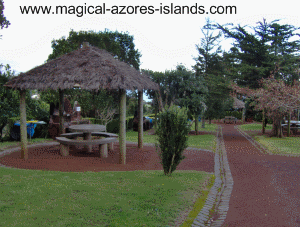 Please ask any questions you might have at: Magical Azores Islands Comments and Questions. Of course, you are also welcome to reply to this email as well!